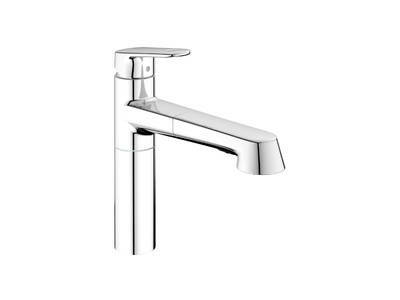 The sculptured lines of the body, enhanced by the GROHE StarLight® chrome finish, run seamlessly into the lever and radiate style. 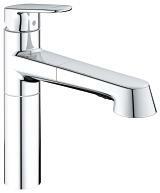 The lever is set at a slight angle of seven degrees to simplify handling and is extremely easy to operate thanks to GROHE SilkMove® technology. The medium spout height will accommodate the largest of pans, while the pull-out spray is an extra help for ambitious chefs. 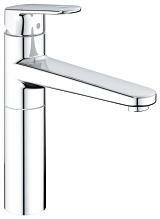 The low-pressure version means that Europlus is compatible with all water supply systems.